Even before Mad Max: Fury Road released (and promptly blew our socks off), Director George Miller was insistent that the film would best be viewed in black and white. After that version was sadly absent from the home release, we might be getting something even better: a chance to see the B&W version in theaters. In 2016, there might also be a black-and-white version of the film, which Miller confirms was his original intent. A greyscale and silent version was leaked online in September, although it has since been removed. Mitchell says that an official version exists and could yet receive a theatrical release. It lives! It dies! It lives again! In Black and White! Maybe! As the profile notes, this wouldn’t be the first time we’ve had a taste of what this version of Fury Road would look like. 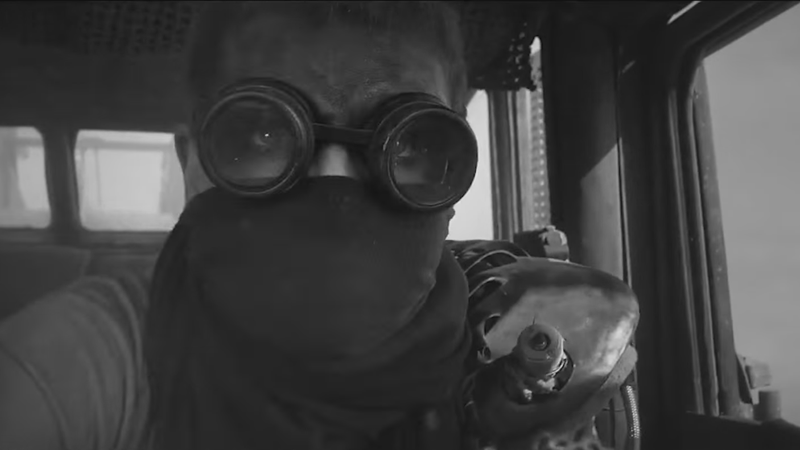 Back in September, Mad Max: Black and Chrome, a fan-made greyscale edit without the film’s soundtrack hit Vimeo for a brief period of time. It was a shame that this cut couldn’t be included on the Blu-ray as Miller had originally planned, but hey, you’re not gonna hear a complaint from us if we get to go and experience Fury Road on the big screen once more next year.